False alarms. No mail yesterday nor has been there been my this entire week. Rough situation and I don’t mean maybe. The time has passed very quickly. Saw several shows including “Three men In White”1, “Lost Angel”2 and the Bob Hope show3 for the second time. Very good and we enjoyed at immensely, especially Patti Thomas and Francis Langford. The whole troupe was grand. Much like the old vaudeville shows used to be. War news has been very good including the beachhead in Southern France, the taking of Paris by French patriots after we surrounded the city. Our boys are across the Seine in many spots on the road to Berlin. We are 165 miles from German border. Russians are 130 miles. It looks like a race between the two. The Germans are strongly defending East Prussia but the Russians are throwing in numbers of fresh tanks. A breakthrough must come. We all wondering when. Please God, that it be soon. Peace awaits us as we await her coming. How wonderful it would be to spend Christmas at home. However, that seems quite impossible, even though the war can end any day. Rather dread going up to the new area we are assigned to. Have no taste for the typhus, malaria, Dengue Fever4 and other diseases. 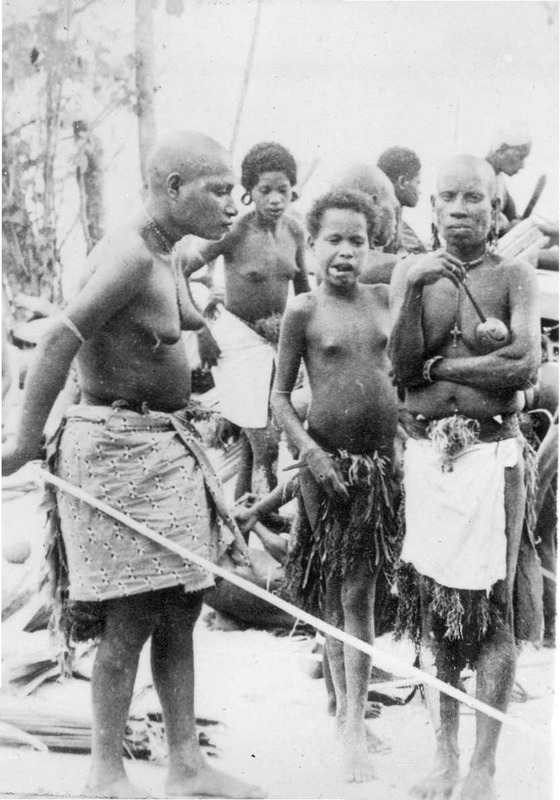 28 out of the first 34 men who landed there were evacuated with scrub typhus5. Terrible percentage. After this disease is seemly cured, it’s most dangerous as relapses are frequently fatal. The place is either named Sansapor or Saliwaiti, I believe. Time will tell. Our planes6 ought to be in soon and our training begun. It shouldn’t be long now before again being in action. Life is rather dull when it’s deprived of purpose. It has been rumored that we’ve captured a strip on Halmahera, but no information has been received so we doubt it very much. Am eagerly awaiting the first result of MacArthur, Nimitz and Roosevelt’s conference. In what way, shape and form will it strike! Damn it, I’m lonely as hell for Bonnie. Miss her by day and by night. I often torture myself by going too deeply into memories but those memories are what I am fighting for and I intend to indulge in them as often as possible. Did another hitch on KP. Hauled away the garbage this time. Not bad but a messy job. Buffington, who was driving the jeep, picked up a bunch of native help. They had scabs all over their nearly naked bodies, but Doc Myers has assured us this condition isn’t contagious. Sweat it out for awhile. Their father was with them but didn’t ride with us. He’d evidently eaten some unfortunate beast. Blood was on his neck and chin. The ones here are rather cannibalistic and seem to enjoy raw bloody meat. That’s about the size of things for now, so will get about writing to my sweet wife. Johnson ought to get down tonight, so will have to hurry operations a little. Wrote letters to Mom and Dad yesterday! Buffington and I have a Ping-Pong fixation at the present time, and are each holding our own in the tournament. Will beat him decisively yet! 1 3 Men in White, starring Lionel Barrymore, Van Johnson, Marilyn Maxwell and Ava Gardner among others, was released by Metro-Goldwyn-Mayer in May 1944. 3 Men in White was comedy of medical competition. 3 Men in White. IMDb.com (http://www.imdb.com/title/tt0037373/?ref_=fn_al_tt_1 : accessed 24 August 2014). 2 Metro-Goldwyn-Mayer released Lost Angel in December 1943. Lost Angel was a tale of a young lady raised along scientific principles in a research institute. Lost Angel. IMDb.com. (http://www.imdb.com/title/tt0036120/?ref_=fn_al_tt_2 : accessed 24 August 2014). 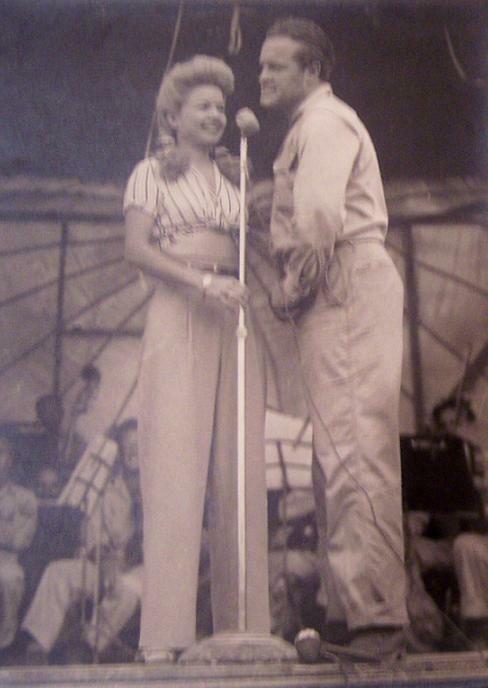 3 Wayne saw Bob Hope’s USO troupe perform on Stirling Island on August 4, 1944. See https://waynes-journal.com/2014/08/07/august-8-1944/. 4 Dengue fever is a mosquito borne disease. See Dengue fever. (http://en.wikipedia.org/wiki/Dengue_fever : accessed 24 August 2014). 5 Mites, “chiggers”, found in heavy vegetation, cause scrub typhus. Without treatment, the disease is fatal. See Scrub typhus. (http://en.wikipedia.org/wiki/Scrub_typhus : accessed 24 August 2014). 6 The 42nd Bombardment Group’s ground crews along with other units left the Russell Islands and Stirling Island by ship for Sansapor, New Guinea toward the end of July. They went directly to Sansapor where they began preparing the new airfield for the bombardment group’s operations. The 42nd Bombardment Group’s enlisted aircrews traveled by air directly to Hollandia, New Guinea to await the arrival of the Group’s aircraft and flight crews. This entry was posted in Uncategorized and tagged blood, Bob Hope Show, Christmas, Dengue Fever, Doc Myers, Fancis Langford, Halmahera Island, Hollandia, Jeep, Kenneth Buffington, KP, MacArthur, Malaria, natives, Nimitz, Patti Thomas, pingpong, Roosevelt, Sansapor, scabs, typhus, WAC, Willard Ray Johnson. Bookmark the permalink. Sounds like an awful place to be. If the enemy didn’t get you the Mosquitos did, a rather ‘nice’ collection of diseases to be wary of. An interesting line from Bob Hope playing on Churchill’s words, a line that has been immortalised and used in modern advertising in similar ways. Would I be right in thinking boredom was also a problem whilst waiting for new orders or postings? Hence the range of movies shown. I don’t know if it originated with him, but Bob Hope used the line, “Out here, never have so many chased so few for so long, for so little”, in many of his performances throughout the years. It never failed to bring a smile. Boredom was always a problem as was stress. Prior to the advent of television, movies were an easily transportable form of mass entertainment. Movie film could be sent anywhere. Outdoor movie theaters were easily set up with bomb, ammunition and other crates used for seating. From the movies cited by Wayne, the motion picture studios appear to have cranked out musicals and comedies to entertain an audience, both military and civilian, living under the stress of uncertainty. My dad was running around France at this time. Many Americans today are unaware of the horrible toll disease and illness took on our military, especially out in the SWP as your uncle mentions. While frostbite and trench foot took its toll on the Joes in the ETO, the illnesses your uncle mentions had lasting effects. I know those in the Middle East got desert sores and also malaria was also a problem too. Do you know what “desert sores” were?